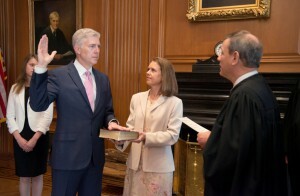 On Monday, April 10, 2017, Neil Gorsuch was sworn is as the 113th justice of the United States Supreme Court. He was nominated by President Donald Trump to succeed the late Antonin Scalia and previously served as a judge on the federal Court of Appeals for the 10th Circuit. 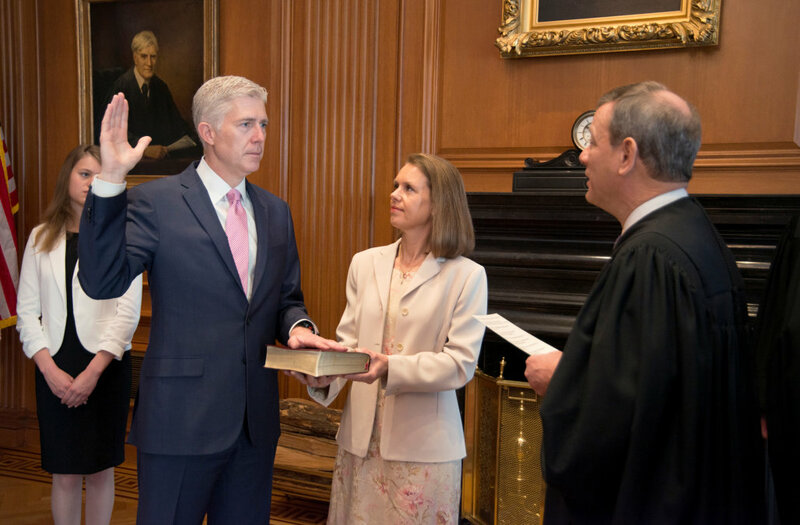 Justice Gorsuch is known to be a strict conservative who has vowed “to be a faithful servant of the Constitution[. ]” He is known to be a proponent of “originalism,” which means the Constitution should be interpreted as perceived at the time of enactment and “textualism” which means that statutes should be interpreted literally, without considering the legislative history and underlying purpose of the law. The confirmation of Associate Justice Gorsuch to the Supreme Court did not come easy. Democratic Senators waged a filibuster to prevent Gorsuch from receiving the 60 votes required to advance his nomination to a final vote, but Republicans invoked what is known as the nuclear option, which lowered the threshold on Gorsuch’s nomination to a simple majority vote. Thereafter, the Senate confirmed Gorsuch’s nomination to the Supreme Court by a 54-45 vote. As of yesterday, the Supreme Court once again has a full-complement of nine justices. Supreme Court justices (typically ) have lifetime appointments.